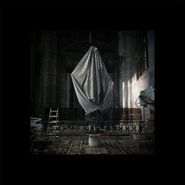 Every time electronic composer Tim Hecker releases an album, it's cause to celebrate. Though experimental and avant-garde, his album play out like soundtracks to beautiful, half-remembered dreams. His latest, Virgins, is thoroughly intriguing. It's opening tracks layer wavering tones that make the listener feel like he or she is floating through clouds, with "Virginal I" introducing plinking piano notes that feel like steps to heaven. "Live Room" makes those piano notes more chaotic, the drones becoming more atonal, while "Live Room Out" offers static-laden reprieve, with low droning notes dueting like cellos. Not all of Virgins is pretty—"Incense at Abu Ghraib" earns its title with eerie high notes and a banging sound in the background for a subtly unsettling experience—but those moments feel necessary, as Hecker doesn't seem out to merely comfort nor provoke but rather offer a wordless trip that defies easy explanation and invites reflection. It's a moving experience, and one that can mean something entirely different from one listener to another.